Report Constructed, manufactured and tested in accordance with EN 60950 (VDE 0805, UL1950) and agrees with the standards. 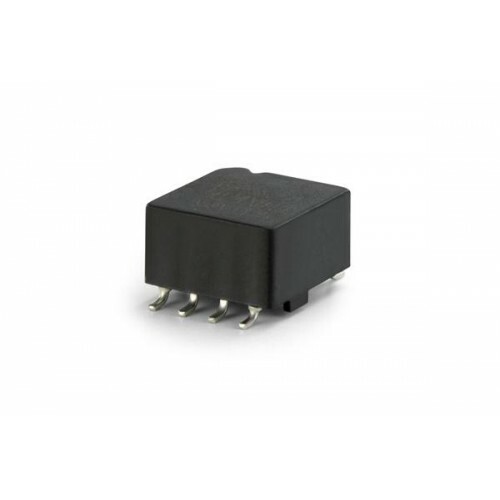 T60403-K4096-X046 (T60403-K4096-X046) Vacumschmelze offers a variety of high-performance Transformers, including Power Line Coupling (PLC), Gate Drive, Current, and Interface devices. VAC current transformers for electronic electricity meters are a new series of DC tolerant VITROPERM® CTs with high linearity performance and very compact design. The VAC range of powerline transformers was designed specifically for Advanced Metering Management (AMM) systems and is ideally suited for smart metering applications via the conventional supply network system. VAC IGBT drive transformers are designed for power supplies, welding equipment, UPS, solar inverters, and motor control systems. VAC also offers a range of audio and signal interface transformers.